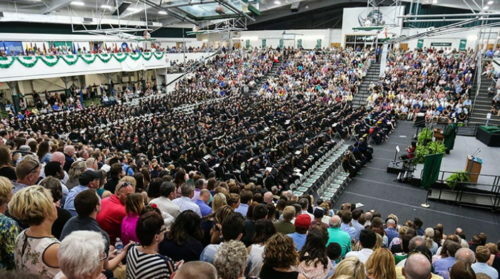 Nearly 600 Slippery Rock University students are set to graduate this weekend. The school’s Winter Commencement ceremony will take place on Saturday at 11:00 a.m. inside Morrow Fieldhouse. The university will award about 450 undergraduate degrees; 100 master’s; and eight doctoral degrees. Tickets are required for admission, with doors opening at 09:30 a.m.
All graduates have received their allotted tickets for distribution to friends and family.